No. 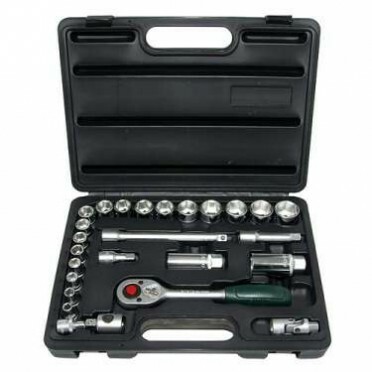 of Tools : 46 Pcs.Size : 1/4" Square Socket Set 4 to 14 mm.. Contains : 11Pcs. 1/2" Dr.10-10 mm Spline Bit.. Contains : 10pcs. 10 - Hex ball point long key.. Contains : 10pcs.10 - Hex ballpoint extra long keyset..